Cassata is a traditional Sicilian dessert filled with sweetened ricotta cheese that is flecked with candied fruits and encased within a marzipan collar shaped using a special mould. Cristina Bowerman reinvents the classic Italian recipe, creating spheres of frozen cassata enrobed within crisp chocolate shells served on an almond foam. 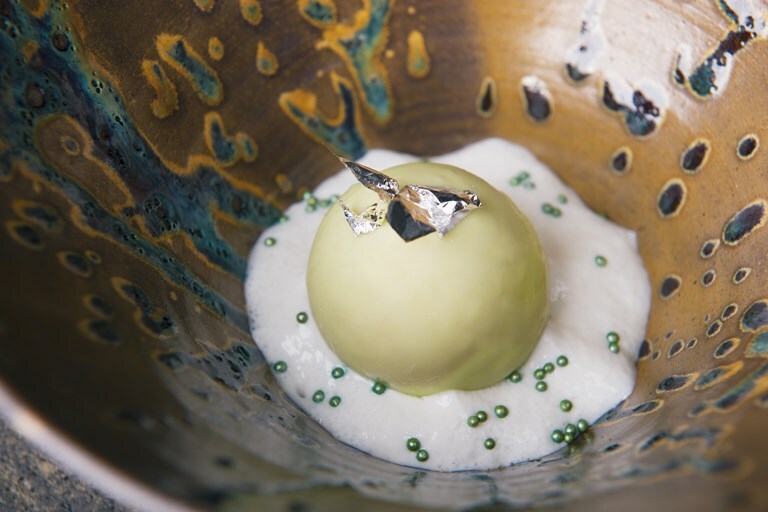 Although quite complex, the sponge and mousse spheres can be made in advance and glazed on the day of serving.